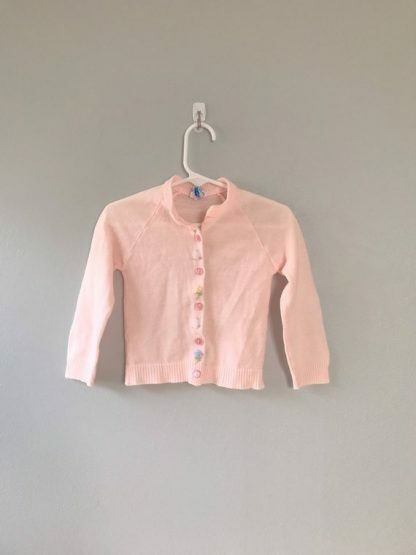 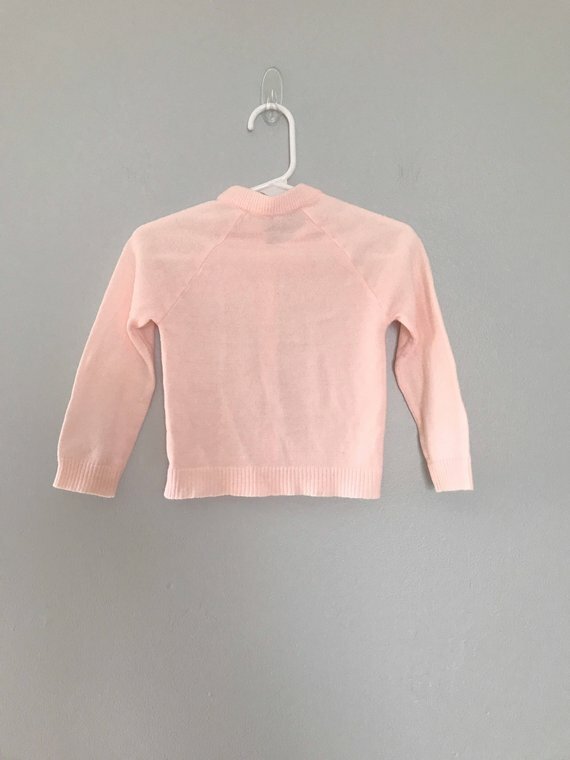 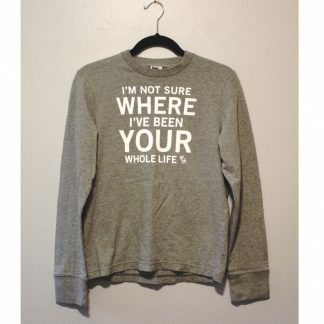 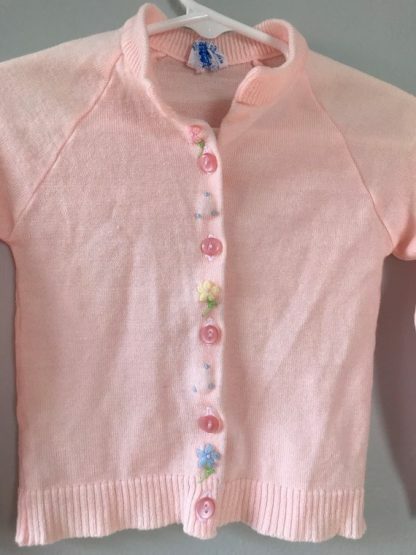 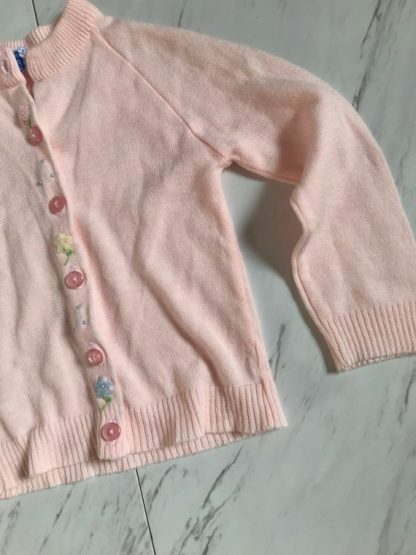 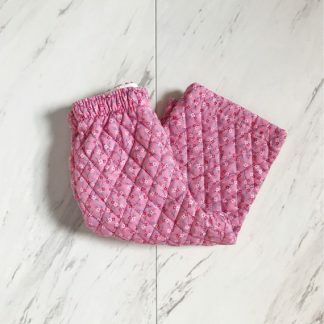 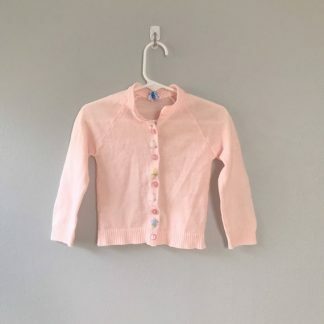 Sweet vintage baby girls pink sweater. 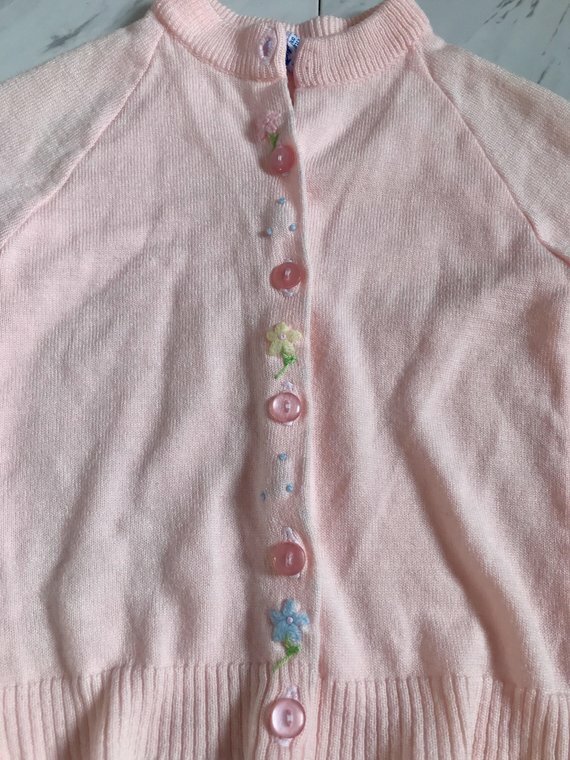 Sweet little pink cardigan sweater with little embroidered flowers. 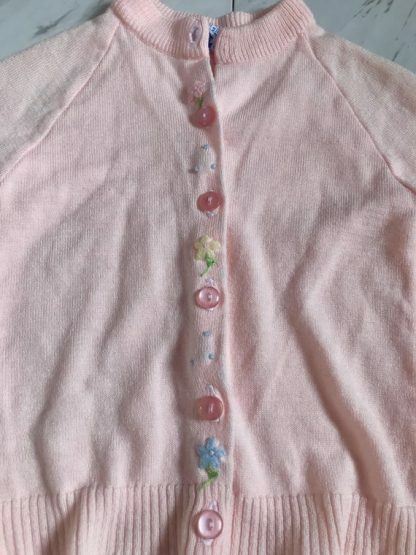 Button down front.